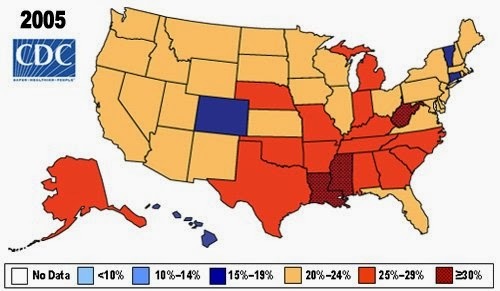 The Centers for Disease Control has a bunch of maps that illustrate the dramatic rise in obesity in United States over the last 25 years. 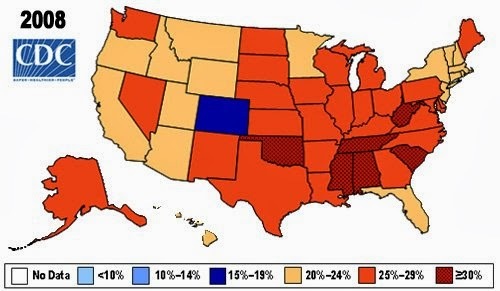 What's shocking is that in 1990 no state had obesity levels greater than 15 percent. 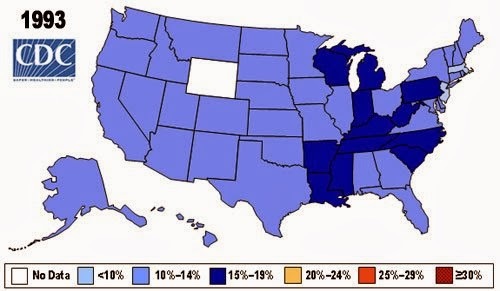 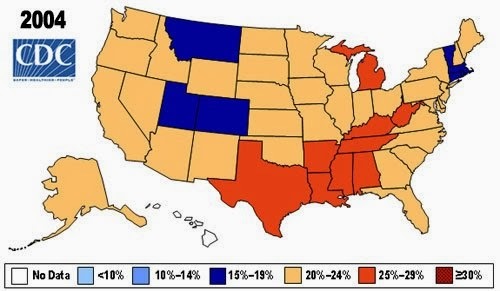 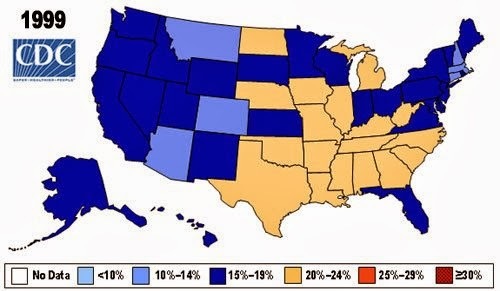 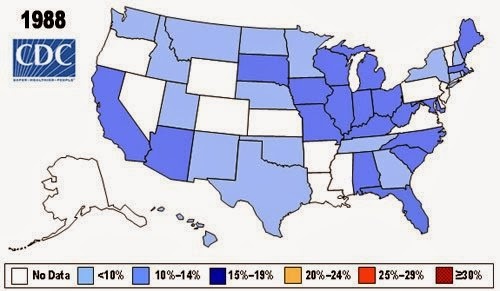 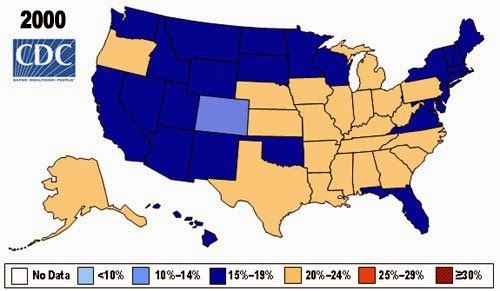 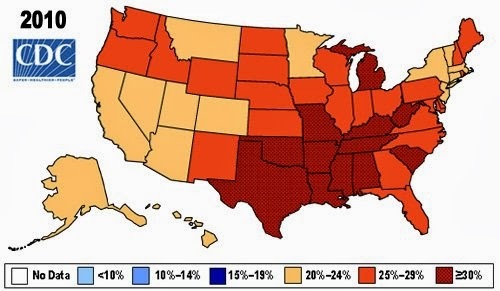 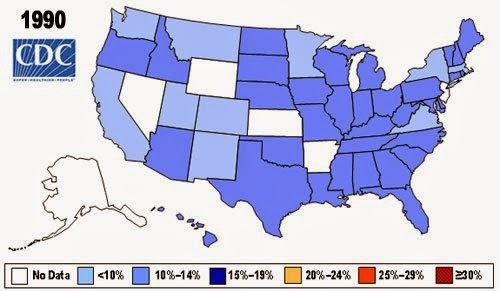 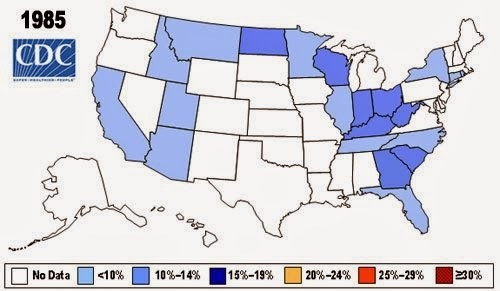 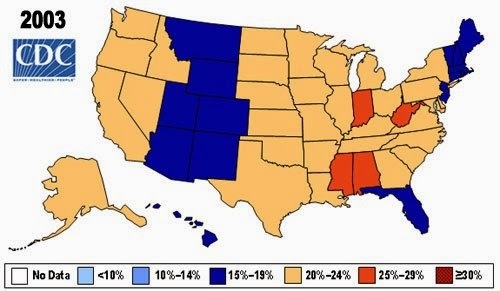 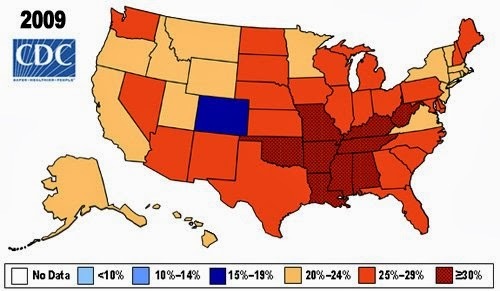 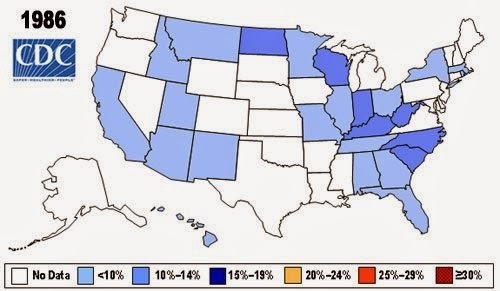 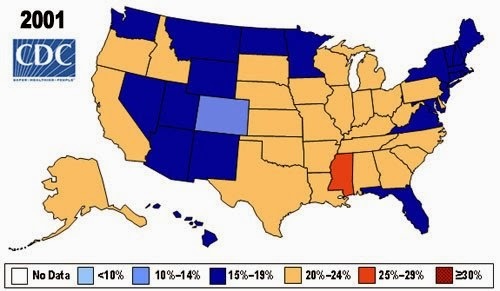 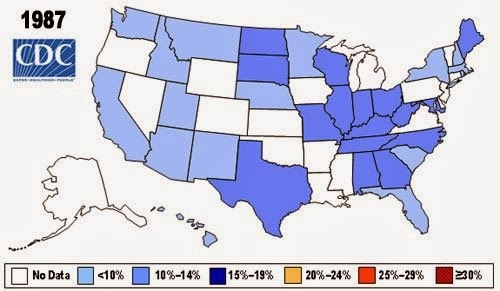 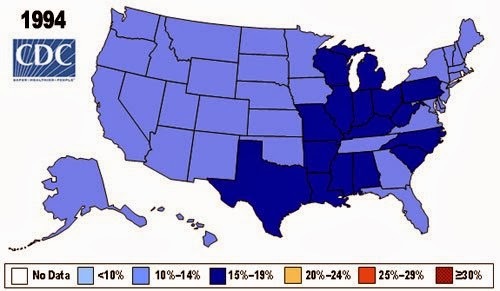 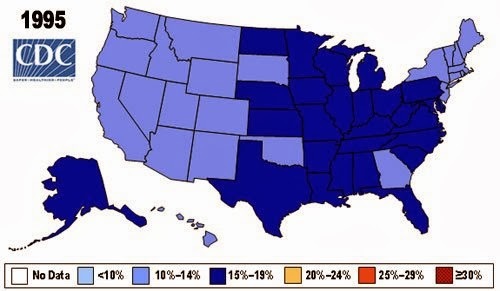 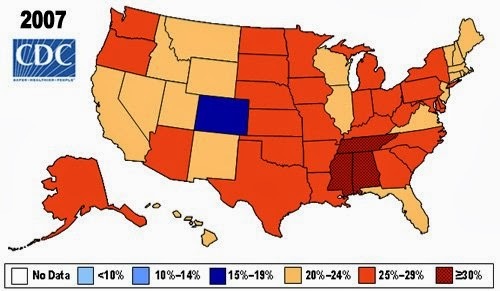 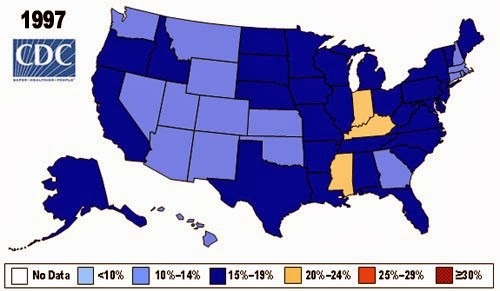 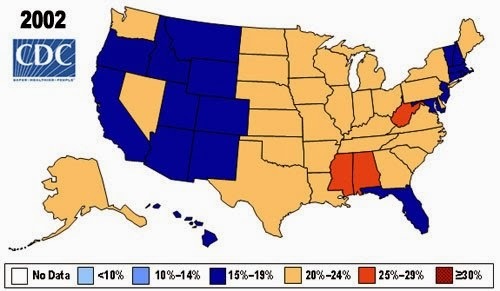 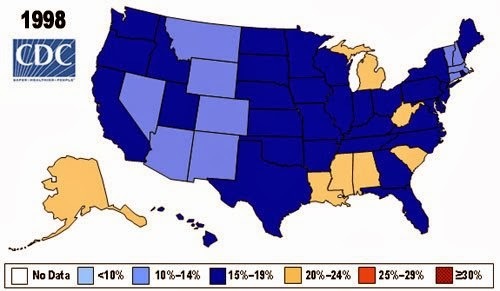 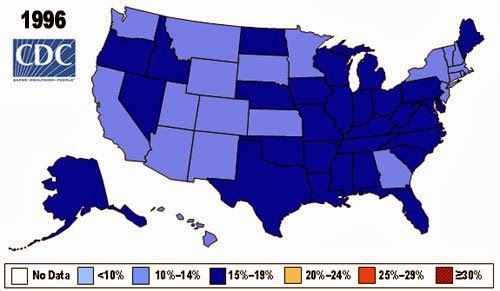 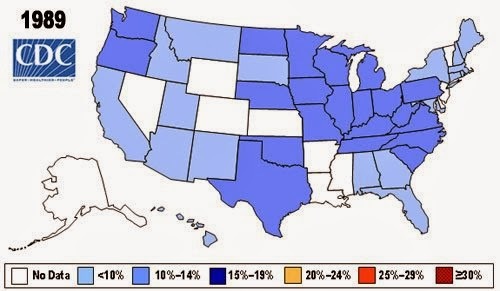 By 2010, no state had obesity levels less than 20 percent.